Dental amalgam is commonly referred to as “silver fillings.” Amalgam is a filling material that has been used by dentists for over 150 years. A mixture of metals that typically includes silver, copper, mercury and tin. 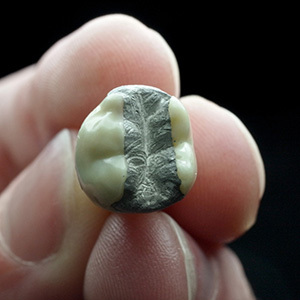 In response to those concerns about the safety of the mercury in amalgam, the U.S. Food and Drug Administration (FDA), American Dental Association (ADA) and other organizations have conducted numerous studies over several decades and have repeatedly found that the small amount of mercury released during placement and removal of amalgam fillings does not cause adverse health effects. Composite fillings are typically made of a resin and filler tinted to the color of your tooth, and commonly referred to as “white” or “tooth-colored” fillings. They serve an important purpose for teeth that are visible when smiling, providing an aesthetic benefit not afforded by silver fillings. While resin composite fillings undoubtedly look better than amalgam ones, they are generally considered to be less durable, and therefore may not be ideal for teeth that are subject to extreme chewing and biting forces. It is worth noting, however, that composite materials continue to benefit from technological advancements, contributing to enhanced durability. The ADA supports composite materials in small or mid-size fillings on teeth that are exposed to moderate pressure from chewing, and acknowledges that they are a good choice for a more natural-looking filling.